Everyday we get lot of emails and phone calls asking if a particular company is ISO certified? Can we trust an ISO certified company? etc…. To ensure that visitors of our site get first hand information form those who are engaged in training and certification business, we are compiling some frequently asked questions [FAQ] and also launching a service for verifying genuineness of ISO certificate. 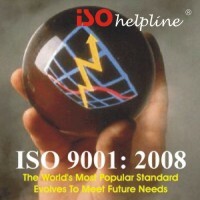 FAQ about International Organization for Standadization can be foundÂ on iso website www.iso.org. Following FAQ deals with perception of genral public about certified companies. First using the term “ISO certified” is not correct in its true sense. ISO has released many standards on products, processes and systems. ISO 9000 or ISO 9001 is most popular system certification and people use the term “ISO certificcation” for ISO 9000 / ISO 9001 certified companies. For user perspective we will use the same term. Other most populer ISO certifications are ISO 14001, ISO 22000, ISO 27001. There is one moreÂ opular standard, OHSAS 18001. It is not a ISO standard and hence cannot be called as ISO 18000, but general public and even most users of the standard call it ISO 18000. How to verify if a company is ISO certified? The first step to verify a genuine certificate is to ask the company to give you a copy of certificate. Next you can ask the company which issued the certificate. We alsoÂ provideÂ certificate verification service. This is a chargeable service. Does ISO certifcation ensure fraud protection? Can I trust an ISO certified company? No. ISO and other standards are targeted at various aspects of business, for example, ISO 9001 deals with quality management system, ISO 14001Â deals with environment management system and so forth. ISO certifications do not ensure fraud protection. For fraud protection refer consumer protection act, but that can be invoked only after you have been cheated. ISO certification [or ISO 9001 certification] is not a certificate for trustworthyness of a company. Does ISO 9000 / 9001 or any other certification ensure that a buyer will always get good quality? No. ISO 9000 / 9001 or quality management system certification ensures that certified company has appropriate processes in place in ensure that only good quality products are delivered to the buyer. But this is not achieved 100%. A buyer can get a faulty product or service. Does ISO 9000 / 9001 certified company should respond to customer complaints? Yes. ISO 9001 certification requires organizations to have a complaint management system. What can I do if an ISO 9000 / 9001 certified company is not responding to my complaint? You can complain to certification body or even to accreditation body giving relevant details. What is a certification body and/or accreditation body? A certification body [also called a registrar] is a organization which issues certificate. An accreditation body is an organization which authorises the certifcation body to issue the certificate. Normally an accreditation body is an member of International accreditation forum [IAF] but there are many “independent” accreditation bodies also. How International organization for standardization [ISO] controls ISO certification? International organization for standardization do not control ISO certification in any which way. ISO is responsible only for formulating and publishing a standard. Once standard is published, standard’s interpretation,Â implementation and certification depends on user / certification body. ISO issues clarifications on interpretations when asked. 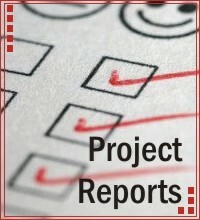 ISO conducts surveys of certified companies once in a year. I want to get my company certified? How I should select the certification body and accreditation body? This is a big question and the answer depends upon your requirement. Many companies want certificate because certificate is mandatory requirement to participate in atender or for supply of goods and hence they try to find the cheapest available source. The correct approach is to aim for continual improvement in organization’s performance and hence ensure that the accreditation body is a member of IAF and “IAF MLA” is printed on the certificate. Also ensure that the accreditation body and certification body have good respect in the market. I want to get my company certified? What will be approximate cost of certifcation? The cost manily depends upon number of employees in your organization, your products and services. The cost also depends upon accreditation body and certification body. Depending upon number of employees, certifcation body calculates audit mandays requirement than multiplies it with audior manday rate and than adds accreditation body fees. Some certification bodies also charge “file maintenance” charges, administrative charges etc. In addition to certification you will have to bear auditors travel and living expenses. You should ensure that arrangements for travel and living are done as per your company standards and not as demanded by auditor or certification body.